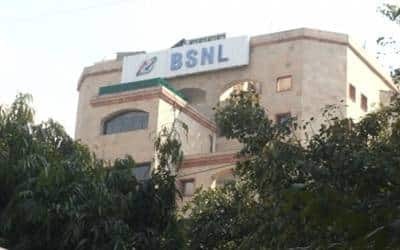 New Delhi, March 22 (IANS) The Prime Ministers’ Office on Friday took stock of the telecom sector’s financial position, including two ailing PSUS, and is learnt to have asked Department of Telecom to support BSNL, currently going through a huge financial crisis leading to salary default, till a new government takes over in June. The time has been sought as the PSU may find it hard to get the revenues up and going for meeting a huge monthly wage bill of Rs 1,200 crore, sources said. Sources said with polls around, the government does not want 1.76 lakh employees should face any salary issues. The BSNL’s VRS scheme amounting to Rs 6,535 crore will be taken up by the new goverment. The Prime Ministers’s Office, according to highly placed sources, has asked DoT to support and take care of BSNL’s wage bill in whatever ways till July. Last month DoT had helped BSNL to meet its salary bill after the state-run operator defaulted on salary in 19 years of its existence. The PSU is also struggling as it does not have LTE 4G servcies for lack of spectrum and now DoT has referred the matter of its spectrum proposal to TRAI for consultation as PSUs don’t bid for auction to get spectrum. BSNL’s wage bill is 70 per cent of its revenues and with dwindling service incomes, it is extremely difficult for the ex-DOT servce arm to keep floating. The last month salary was paid by the PSU on March 15 to all, after it had paid in tranches to some circles and lower level staff. Earlier this month the government gave BSNL a letter of comfort for raising working capital loans of Rs 3,500 crore for paying electricity bills and other netowrk upkeep expenses such as towers. BSNL’s wage bill increases annually by 8 per cent and its revenues are stagnant. The PMO’s similar advice was on MTNL wage issues as well. MTNL has a monthly wage bill of Rs 200 crore stemming from its 23,000 employees. The DoT has been paying it since November under some service heads of previous payments.